Well, now we’re going to use that upper half to make something else. My pillow cover was a nice heavy weight twill that was just calling out to be used as bottoms. I initially thought a cute a-line skirt with slashed pockets, but “skirt” is always the first thing that I think of, so I decided to step outside the box. Yes friends, we’re making shorts! What? That’s different! Now, if you have a pattern for kids’ shorts, you’re halfway done. If not, grab a pair that fits your kid (or will fit your kid when this tute is more weather-appropriate) and trace around them. 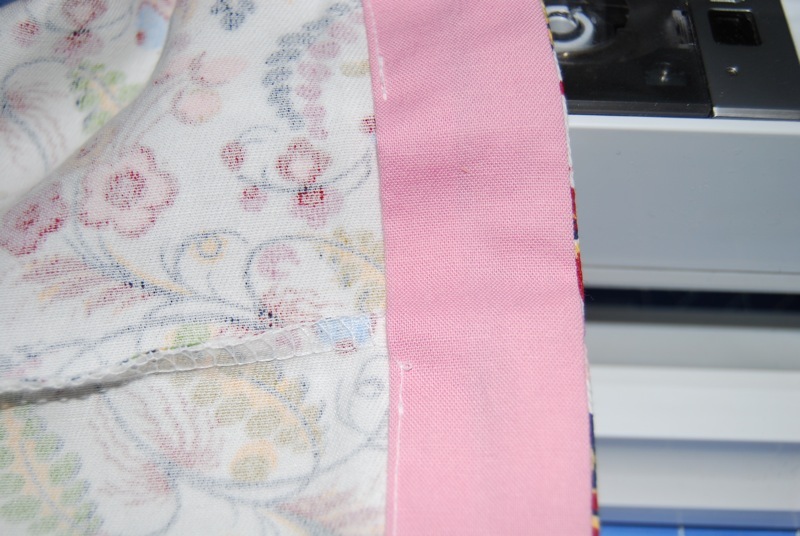 Add seam & hem allowances and make sure you account for the stretch in the back of the waistband. Oh yeah, did I mention we’re making shorts with elastic in the back? That’s probably important information. No zip-flys here. Also, we’re making a waistband facing, so the top part of the pattern only needs a half inch seam allowance. 1. make sure the distance from the tip of the crotch curve to the waist is the same on both front and back pieces. 2. make sure the distance from the tip of the crotch curve to the hem is the same on both front and back pieces. Here are my pattern pieces already cut out. The one on the left is the front. 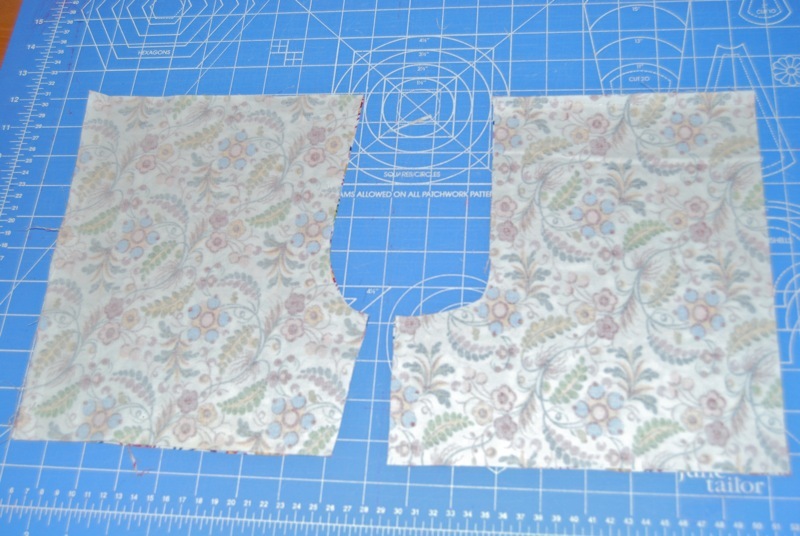 Cut one front piece, then flip the pattern over and cut another front piece. 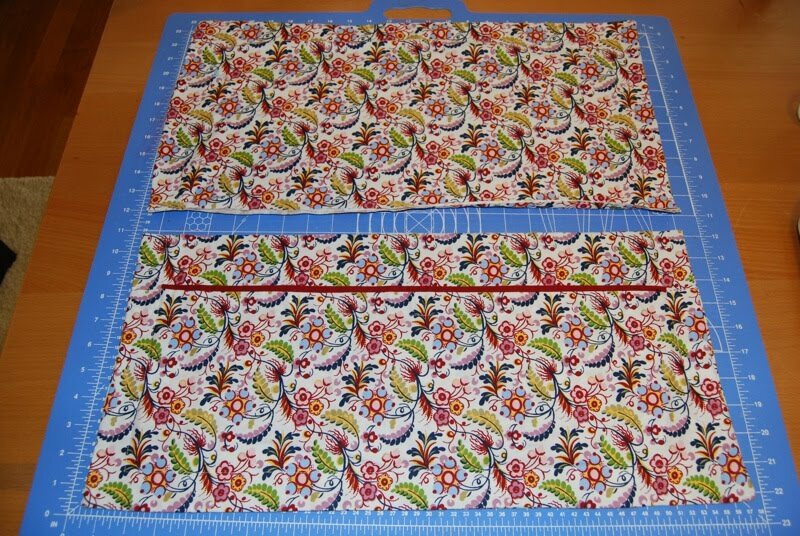 Do the same for the back pattern piece. 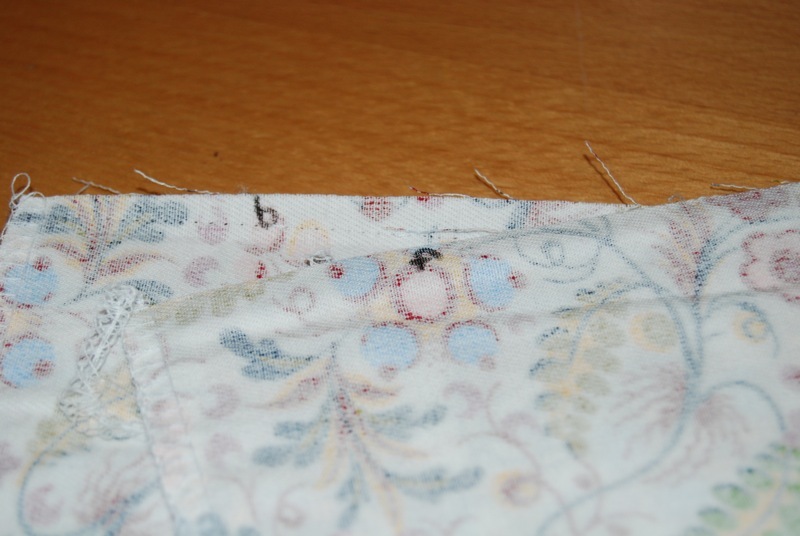 Now sew the two front pieces right-sides-together along the curve. Do the same for the two back pieces. 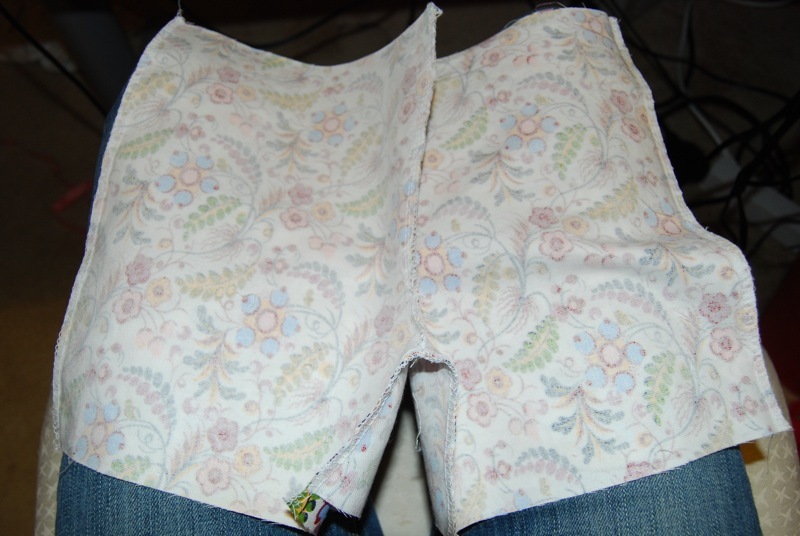 Next sew the side seams and you’ll end up with something resembling shorts! 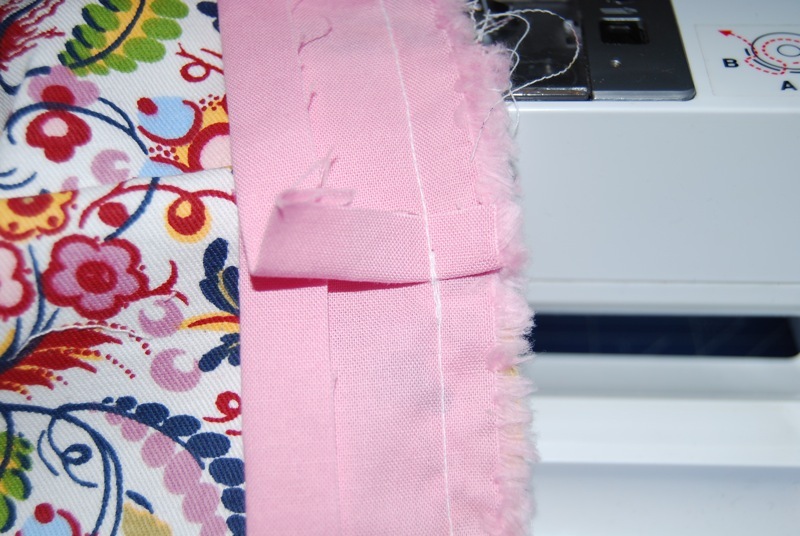 When you get back to where you started, fold the leftover bit over so it overlaps before sewing it down. This is clearly the Adrianna method of sewing. If you want, you could also do this, you know, the right way. 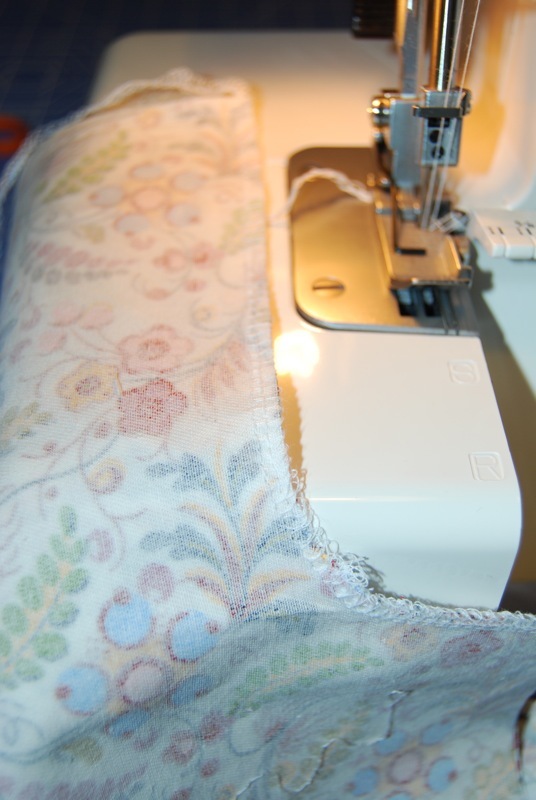 Now flip the waistband inside the shorts and edgestitch it down, leaving an opening at each of the side seams to thread your elastic. Measure your kid’s circumference where the shorts will sit (for kids, this is NOT the waist, but much lower, below their adorable belly bump. Which is, apparently, not adorable on adults unless there is another kid being grown in there. Just sayin’) Now figure out how long you’ll have to make the elastic so the circumference of the shorts will reduce down to the circumference of your kid. Got that? It’s another of my very scientific Adrianna methods. 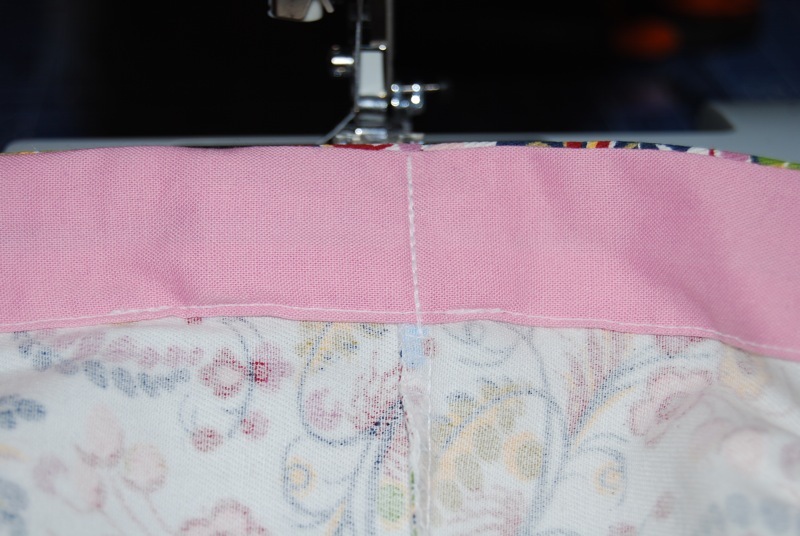 Thread the elastic through the waistband at the back of the shorts and sew it down at each of the side seams. Hem the bottoms and you’re done! I chose to add pockets after the fact (never a good idea) but due to the print of my fabric you can’t really see them in photos. I kinda winged them (really? Adrianna winged something? But she’s so scientifically precise!) but if you want to make similar ones, I suggest this tute. Congrats, you took a perfectly good pillow cover and made two other things with it! 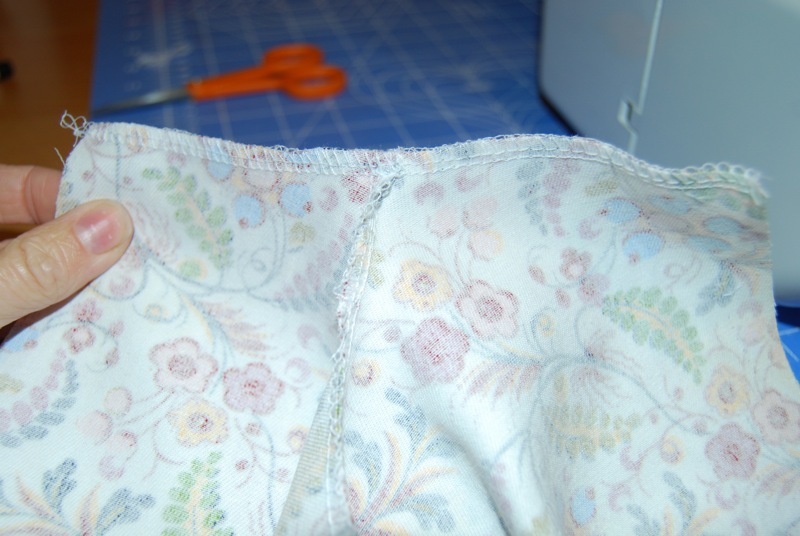 I personally love the Adrianna method of sewing. Mostly because I’m to lazy to do things the right way. Just wish I was on the Adrianna sewing talent side so it didn’t produce so many oops moments. I love the shorts. Especially paired with polka dot leggings and furry boots! OMHeavens! Cutest tute ever and I picked up some good sewing tips. Love your blog!